Upon graduating with a degree in philosophy from Seoul National University, YEO began pursuing the production of multifaceted reality-based projects in various art forms. 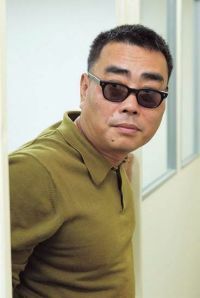 He made his debut through the black comedy < Out to the World > (1994) in which two prisoners escape against their will and get to know a bigger prison in Korean society. He also appeared as an actor in < To You, From Me > (1994, directed by JANG Sun-woo) and < Love Bakery > (2000, directed by PARK Heon-su). [Photo] New caricature poster added for the upcoming Korean movie "Stranger than Jesus"
[Photos] A Variety of New Stills Released for Korean Movie "Stranger Than Jesus"